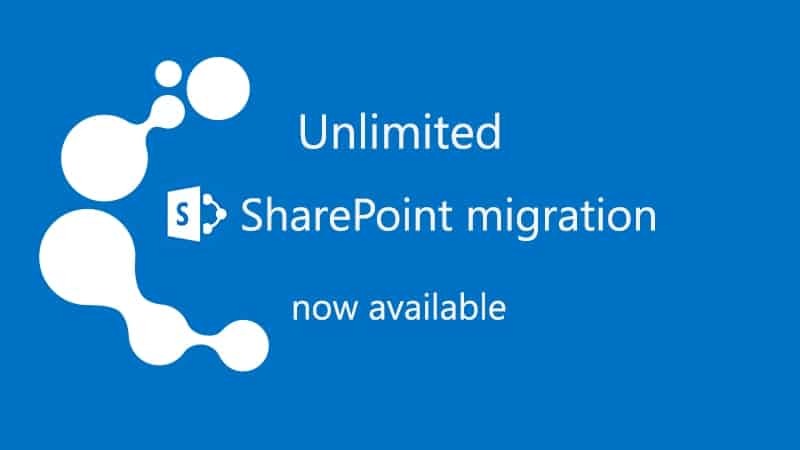 Unlimited SharePoint migration, a real game changer for IT pros! Jump to Office 365! 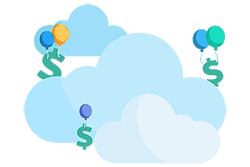 Cloudiway is known for its SaaS migration platform – apps.cloudiway.com – a smart tool, powerful and user-friendly to fully automate migration processes and easily move data, contents and users to the cloud. The growing popularity of cloud solutions has completely reshaped customer expectations with a high demand for flexible solutions available at your fingertips. Cloudiway is following this shift with the release of an unlimited SharePoint migration solution. A real game changer for IT professionals signing the end of long sales and implementation processes. The SaaS platform requires no installation and the simplified configuration makes project management much easier. This subscription will allow multiple migrations throughout the year for $999* with no extra cost. Microsoft cloud suite is today the leading solution for business content management and collaboration, our offer a direct shortcut solution to move businesses to the cloud in Office 365. “Designing this offer was a real challenge. It was all about putting partners’ requirements in the first place to improve their business” says Melanie Douglas Partner Manager. During the one-year subscription period, you can start your migration at any time with no limit of administrators. Once your project is completed you will immediately be ready for the next one, a real time saver! The migration of collaborative sites has become a must-have to help businesses going through a merger, an acquisition or a split. The scenarios supported by this new release are SharePoint on-premise to SharePoint Online and SharePoint Online to SharePoint Online. The unlimited SharePoint subscription is a unique opportunity to impact your everyday business with its high technical performances to accomplish more in less time and increase your profitability with a cost-efficient pricing. We are constantly sharing our know-how and technology to ensure the success of our partners. *$999 per year unlimited projects and administrators. Max 20 site collections per project. Can be upgraded upon request.